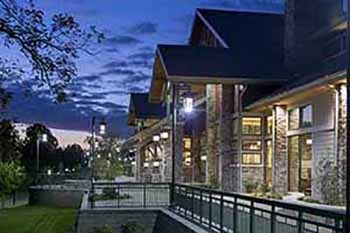 Convention facilities in the Smoky Mountains are extraordinare. Most of our facilities are very modern and provide all of the amenities and services an event of any size would need. Facilities offer space for Trade Shows, corporate meetings, weddings, banquets, youth group events, athletic events and competitions, and religious events. 5 ballrooms, 5 large meeting halls, a boardroom, 18 meeting rooms. These rooms can be arranged classroom, theatre, reception, banquet, or conference style. With 67,000 feet of floor space for 350 booths in the Great Hall and room for 1000 more booths within the same building, Gatlinburg is the perfect showroom for buyers and dealers. 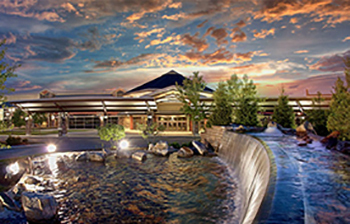 Located along the banks of the Little Pigeon River, in the heart of Pigeon Forge, the architecture and design of the LeConte Center at Pigeon Forge exudes a mountain lodge ambiance. 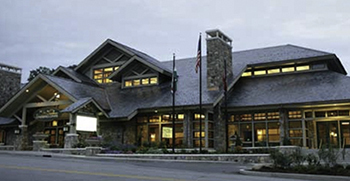 When the design and planning for this impressive event and meeting facility began, the name was chosen as a tribute to the building’s spectacular view of Mount LeConte in Great Smoky Mountains National Park. 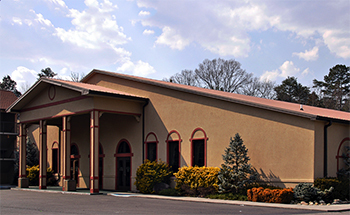 LeConte Center attracts large assembly events, trade shows and expositions, competitive events and special events. Groups from 1,500 to 12,000 attend events in the 100,500-square-foot, clear-span exhibit space with up to 17 separate breakout rooms. The facility is designed to host large tradeshows, expositions, competitive arts events and large retreats. The Sevierville Convention Center has 108,245 Square feet divisible into two Halls; 66,496 sq. ft. and 41,749 sq. ft. Ballrooms provide 19,290 square feet of space and can be divided into 4 rooms. Two separate meeting rooms can be joined together to make one room of 1,022 sq. ft. Adequate loading facilities are available. The catering and food services department at The Sevierville Convention Center is managed by nationally ranked, Spectra Food Services & Hospitality Services. Sevierville Convention Center has 1,571 spaces adjacent to the facility including surface lots and a parking deck . With more than 20,000 square feet of meeting space over five locations and 800+ hotels rooms to choose from, Smoky Mountain Resorts Group Sales can put meeting space and rooms together to suit your needs. Easily accomodating 1,200 attendees, the Smoky Mountain Convention Center can be subdivided into eight or more smaller sections. With a large pre-function room, on site kitchen, and ample parking, the Convention Center is perfect for conferences, tradeshows, special events, dances, concerts, awards shows and more. Located next to Ramada which features 122 guest rooms - including 2 bedroom suites.